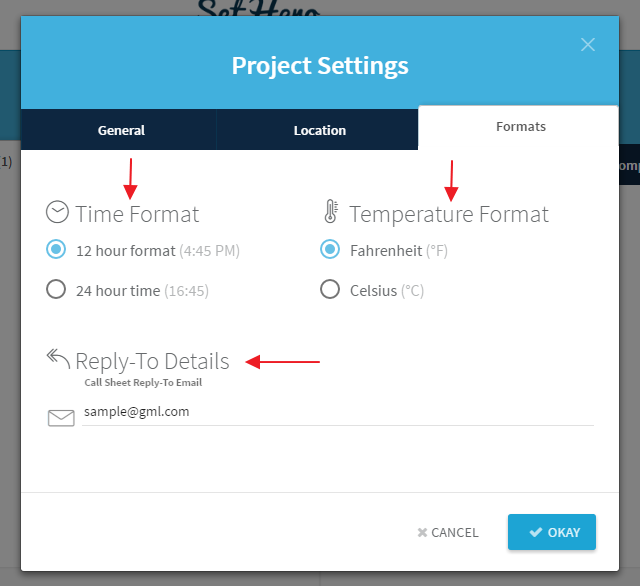 To change the time or temperature format you’ll have to leave the call sheet generator and head over to “Project Settings.” Hover over your project icon and select the settings gear. In the “Settings” dialog box select the “Formats” tab. In the “Formats” tab you will be able to specify the time format (12 or 24 hour), temperature format (Fahrenheit or Celsius), and the call sheet reply e-mail address.